A lot of us look forward to spring, when the suns rays begin to chase away those cold winter days and energize us.. But you don’t have to wait until spring to start feeling that way. …and it helps to prevent cancer, protects against macular degeneration and other eye diseases, reducing inflammation throughout the body... and can prolong life! Fresh juice from leafy greens contains important nutrients for the body including chlorophyll, vitamins, and a wide spectrum of nutrients in their natural forms. 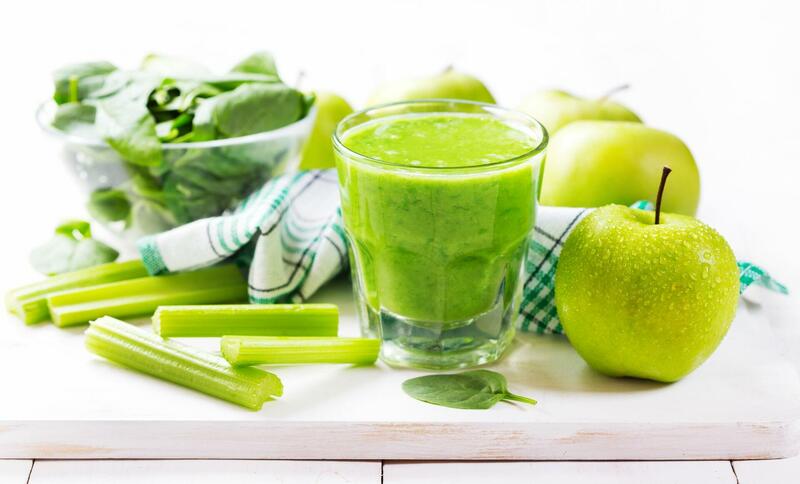 Another benefit is that consumption of juice from leafy greens can reduce wrinkles and brighten up the skin. Once you try it, you’ll see that corn lettuce is almost a flavorless addition to your juice.The next day try two handfuls of it, then a third handful the third day. Just add as much as you can while still enjoying the flavor from the other ingredients. We recommend corn lettuce (also called lambs lettuce) afor your first try with leafy greens, because of its very mild flavor. You can also try lettuce or spinach, as these both add almost no flavor to a carrot/apple blend. So why the lemon? A little lemon juice can improve the taste 100%, especially with stronger or more bitter leafy greens.You can also add a little fresh ginger to balance out any bitterness, and get the great immunity boost that ginger provides. Don’t be afraid to experiment with different combinations!